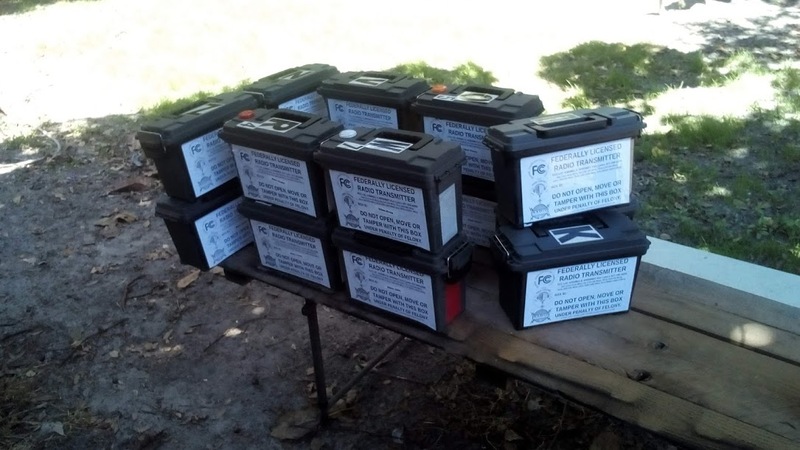 A dozen WIFI Radio Fox boxes ready for the Cub Scouts. 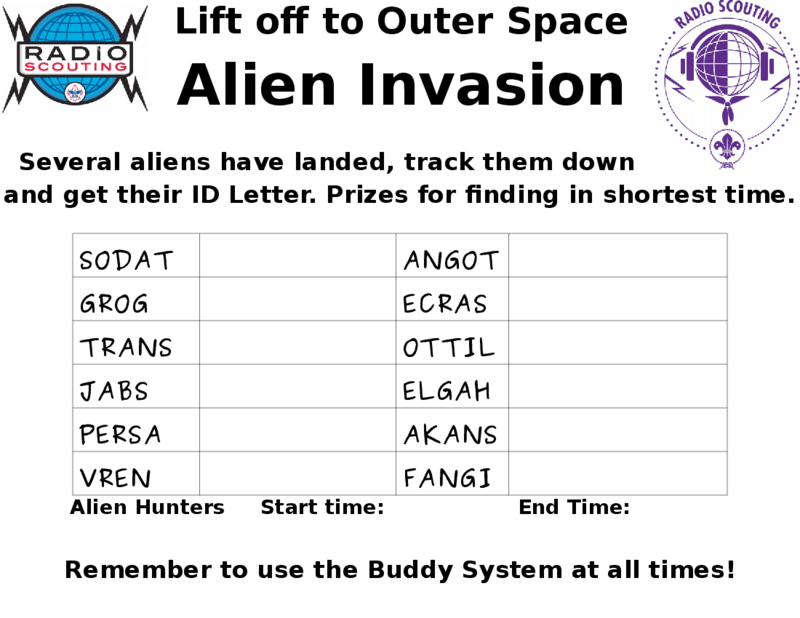 (ARDF) Let the Alien Invasion begin! Leigh Taylor is working on prizes for fasted times, and on participant maps and where to hide them in camp. 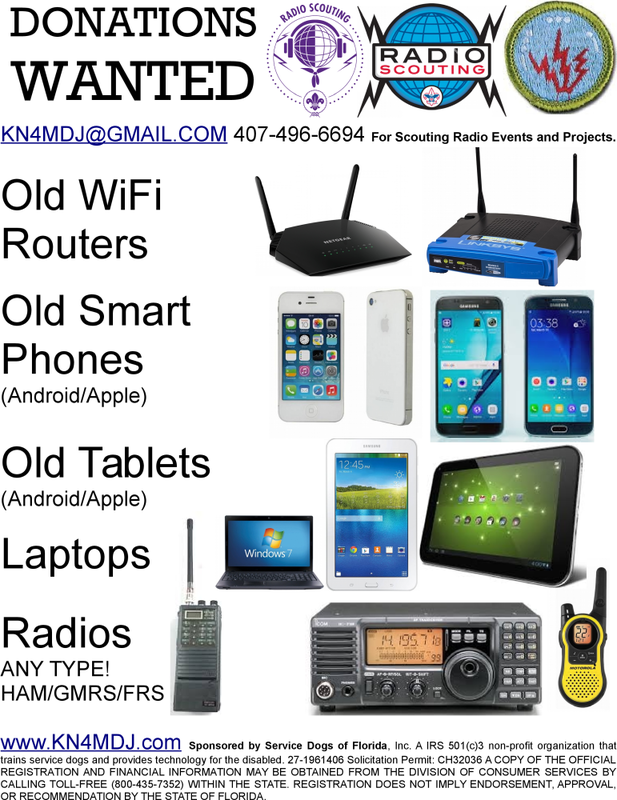 We'll have the 60' tower out for HF, VHF & UHF, available Hams are invited to help out. I'm collecting items to use for events later this year. Registration jumped 46% with 314 JOTA Stations registered on the JOTA-JOTI.info registration system, up from 215 in 2017. Station reports increased 23%, 266 filed versus 226 in 2017. The number of amateur radio operators involved came in at 1,087 up from 958 last year. 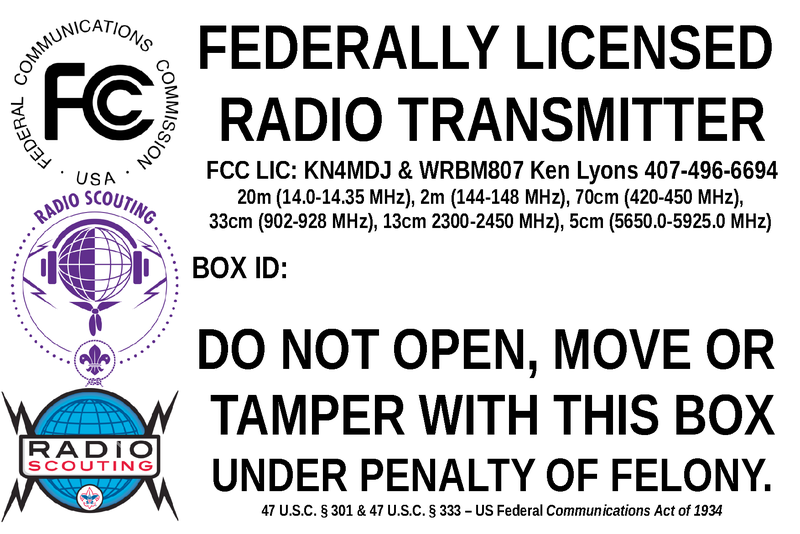 Our station, K4L, represents nearly 8% of the nations numbers. I believe we were the largest single JOTA location in the USA. We are alreaady planning for bigger and better for next year and aim to get all 1,800 cubscouts on the air. 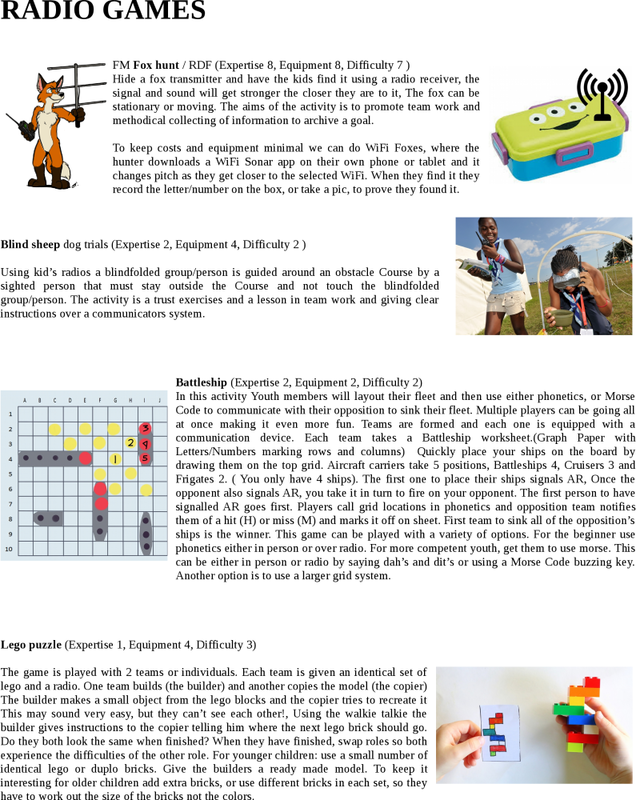 Along with more field day type activies like fox hunting and morse code demonstrations. The new JOTA mast was completed and set records for JOTA in the US. This was our first official Jota/Joti at our camp in over a decade. We had a sold-out weekend of 1800 cubscout for Cub Halloween & Fall Festival. 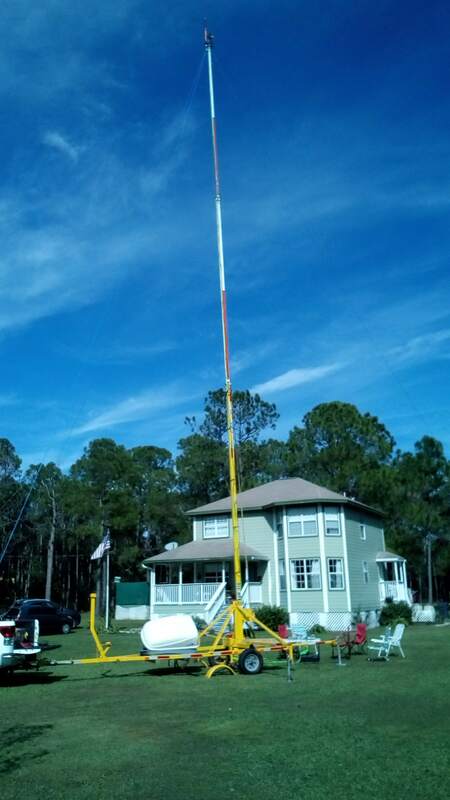 We setup our new 60' tower, and used everything under the sun: HF, VHF, UHF, Dstar, DMR and Fusion. With 5 hams and 5-10 helpers throughout the day we managed to get everything through our two little pop-up tents. HF (20M & 10M) was spotty and congested most of the day, we did get some good time with the North East US (NJ, NY, IN, MI, AL, GA) and a good half hour with Eastern Germany between Berlin and Munnich. As the day rolled on we got better signal with Mexico. We also used every local repeater we could reach to ensure there was plenty of contacts for scouts. 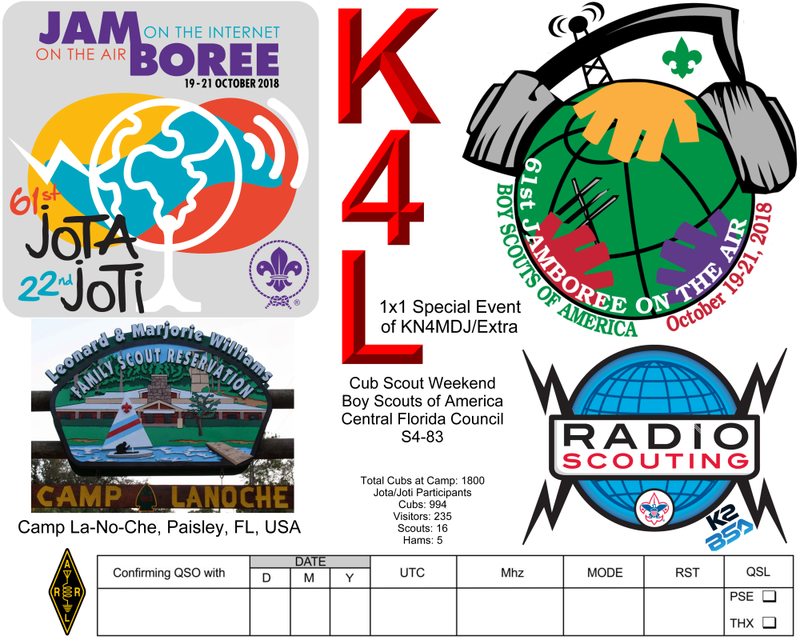 And everyone tried Joti by using Scoutlink.net on 4 laptops we had setup to earn their arrow of light requirements by talking to another scout in another country. Combined (jota/joti) our scouts contacted 17 countries and 7 states, even if only for a couple minutes each. All the parents and leaders were encouraged to try IRC scoutlink.net the following day to continue the fun. Have plenty of help! We originally had two local ham groups promise to support our efforts however we only had a couple individuals from each confirm days before the event. I ended up putting out a plea for scouter's and volunteers to make sure we could handle the waves of youth each period. We just received our mast project, just 2 weeks before JOTA. We've been busy painting the metal, getting lights, signage and antenneas added. it has to be marked and painted the same as a Cell Tower....aviation Orange and White. Red lights for FAA and Amber lights for the DOT. 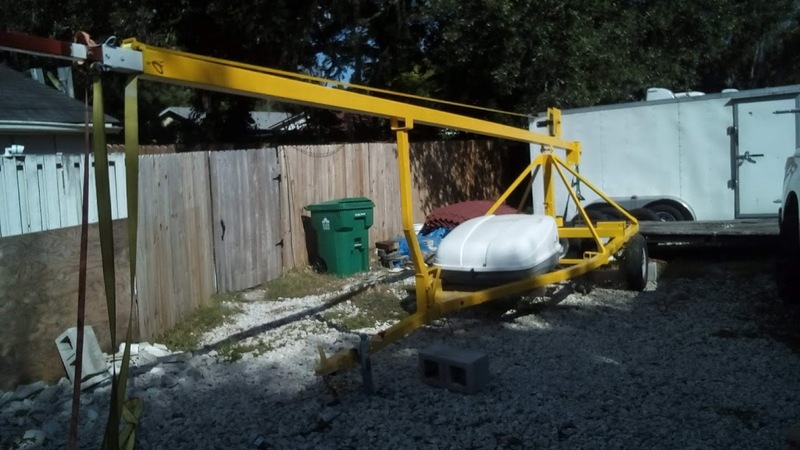 DJFabWeld.com for designing & building the mast and welding everything together. © 2018 Ken Lyons, KN4MDJ. My little amateur radio operator blog.